I would like to wish all the readers of NZ Aviation Notes & NZOM Pilot's Musings a very Merry Christmas and a safe and happy New Year. Thanks to everyone who has viewed and/or commented on my posts this year, I look forward to seeing you all here again next year. Eat, drink & be merry, don't drink & drive, for everyone in Australia & New Zealand be sun smart, and remember the reason for the season. Could there be trouble in paradise for Virgin Australia? Reports in today's Courier Mail suggest Virgin is looking to move lock stock and barrel from Brisbane to Sydney. This has always been on the cards since John Borghetti took the reins at VA and moved his office down to Sydney, but now it looks like Virgin Village (the VA corporate HQ here in Bowen Hills) may be following him. As a worker in a business based in the same street as Virgin I will be sad to see them go, as an avgeek I am distraught at the idea of the only Queensland based airline wanting to go join other Sydney-centric airlines such as the National carrier who despite still carrying the name of the state it was born in has all but abandoned QLD. As a friend of some of the employees here at Virgin Village I am disappointed that they will either be forced to move to SYD to continue with the airline or lose their job if they dont want to uproot their families from Brisbane. But as a businessman & realist I can see where Virgin are coming from when looking at the facts as presented in this article. The threatened pullout comes as Virgin tries to tender for several routes, either regulated or subsidised by the government, including to Roma, Longreach, Cloncurry, Biloela, Bundaberg and Charleville. Qantaslink's contracts for these routes are due to expire in March, and Virgin has been seeking to have the market deregulated to give it a chance to fly them. But the airline has been told, unofficially, that the Government's mind is made up, and Qantaslink's contract will be extended for another two years. A spokesman for Transport Minister Scott Emerson yesterday confirmed that was the case. I have not been a fan of the way the Newman LNP government has treated the people of Queensland in the first part of its term in office and I am appalled by the way it seems to be treating Virgin in this instance. Not only as stated in the above quote, but also later in the article where the premier himself hasn't once mentioned the airline yet on several occasions has waxed lyrical about Qantas in parliament, I take issue with favouritism in politics when there are more than one major player in an industry, especially when both are Australian companies. Also I don't like the fact the QLD government are dooming regional Queenslander's to exorbitant fares on QFLink to these smaller centers when fares to other regional ports have dropped dramatically when the competition of Virgin has entered the market. I know I am slightly biased as I rate VA above QF in terms of its value to us the travelling public, and myself in general, but when a premier and government favour an airline that isnt based in its state, over an airline based in its state and provides thousands of jobs for Queenslander's as well as other financial inputs to the QLD economy with the associated costs of running a major corporate office. 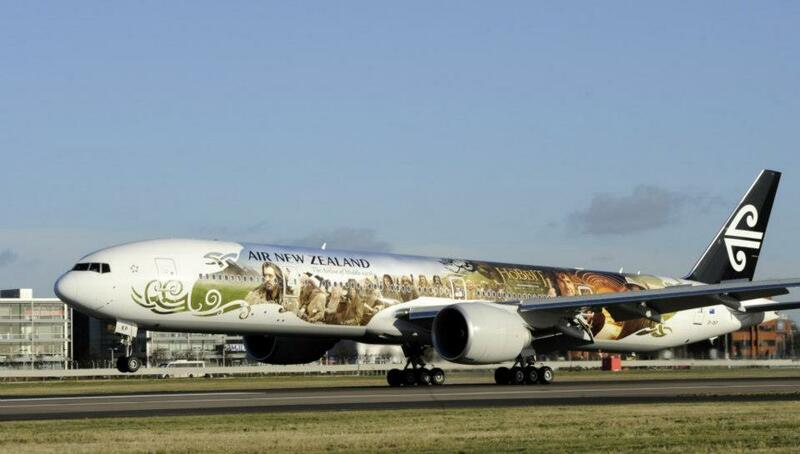 So as a lot of you will know I am heavily into social media, and so are Air New Zealand, so anyway Air New Zealand ran a competition last friday on twitter to win a model of their #AirNZHobbit liveried Boeing 777-319ER ZK-OKP. So seizing the opportunity I shot back the following tweet, and actually won one of the models. The following 3 pics are up close details of the Hobbit livery as seen on the model & the real thing including the first showing of the Black tail and white koru soon to be rolled out fleet wide. The model is solid resin, and sits on a molded base and is true to life with correct graphics including the registration under the wing. I cant thank Air New Zealand enough for running this competition and sending this amazing model to me - I am one very happy AvGeek. As die hard avgeek readers will know Qantas have a somewhat orphan sub fleet in their 767-300ER fleet with 7 ex British Airways Rolls Royce powered 763s. These aircraft were registered in the VH-ZX* range. These aircraft have always presented problems for Qantas, and they have long been flagged for retirement, but with replacement delays etc they have remained in the fleet. Until now. The first of the 7 to be retired is VH-ZXB which was flown from Sydney to Roswell New Mexico for desert storage. Normally when people think trans continental flights they think of LAX-JFK or similar in the USA, but Australia has its own transcontinental services between the three big east coast cities BNE, SYD & MEL and PER on the west coast. 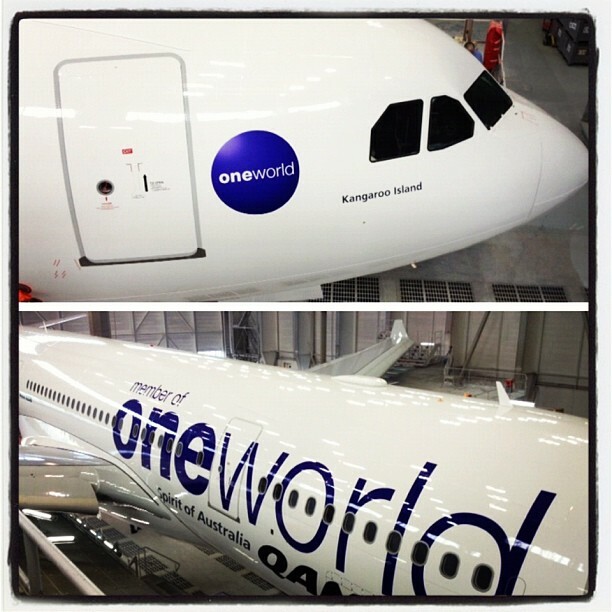 Qantas have just taken delivery of their final Airbus A330-200 VH-EBV 'Kangaroo Island' which sports One World alliance titles, which they will operate on the domestic transcontinental flights. Along with this delivery Qantas have announced that from May 2013 all week day flights on the MEL-PER-MEL & SYD-PER-SYD routes will be operated by A330-200 aircraft. A move which has been in part to combat rival Virgin Australia who already operate their A330 fleet on all MEL-PER routes and next year also on all SYD-PER flights, these currently operate as a mix of A330 & B738 flights. Qantas will also take delivery next year of the A332 fleet that is currently utilised by Jetstar, when Jetstar begin to take delivery of their new Boeing 787 fleet. I hope that once these aircraft are received that all Brisbane-Perth flights will also go to all A332, (currently a mix of A332/B763/B738) but hopefully the change to A332 flights from SYD/MEL will mean all BNE-PER will be at least B763. 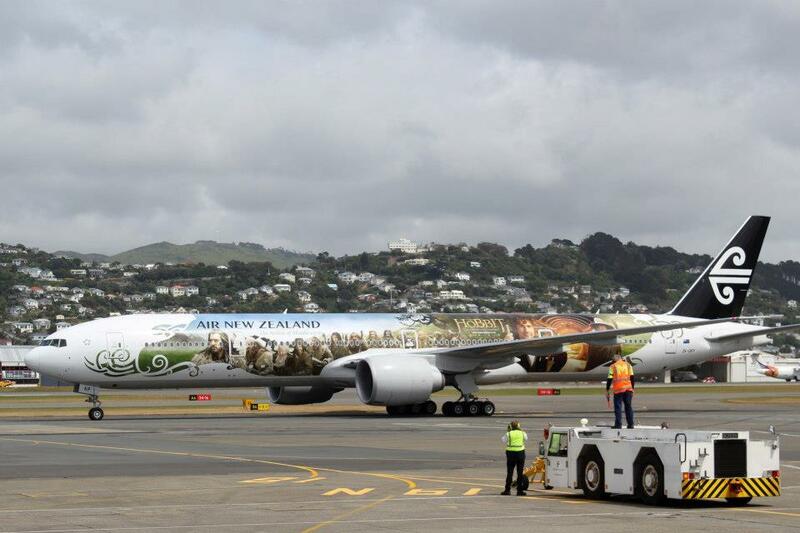 Once again reprising their role as "Airline to middle earth" Air New Zealand have gone full tilt into "Hobbit fever" as has Wellington Airport "the middle of middle earth" and Wellington in general. I've already shown you the Unexpected Journey inflight safety video but now its time to check out Boeing 777-319ER ZK-OKP in its hobbit decal as well as other hobbit things from Air New Zealand and Wellington International Airport. The below photo and videos are from Air New Zealand via theflyingsocialnetwork.com , Air New Zealand's facebook page & their youtube page. Also check out Mike's blog MRC Aviation for more coverage of OKP's roll out & flashback to the 4 LOTR themed aircraft, Air New Zealand had for the launch of the LOTR trilogy. Kiwi's looking to escape the harsh NZ winter will have a little longer to make the trek to the sunshine state's Sunshine Coast with the announcement that the seasonal flights from Auckland will be back for 17 weeks next year, up from 12 weeks this year. The direct service will operate twice a week on Tuesdays and Sundays from 18 June to 13 October 2013. The 17 week season is being extended next year to include the October school holidays, following the success of the 2012 season. Both Air New Zealand and Virgin Australia are promoting the service which operates with Air New Zealand A320s, and is being hailed as a successful part of their alliance. Hot on the heals of the announcement of the end of the HKG-LHR-HKG route, Air New Zealand subsidiary Eagle Air have announced the end of their CHC-WKA-CHC route from 30/01/13. This ends a tumultuous period of service to Wanaka which began back in 2004, more recently the route has operated 6x weekly using NZ2011/17 on the CHC-WKA leg and NZ2010/14/18 on the return leg. Air New Zealand have announced the end of their London - Hong Kong services NZ35/NZ38 effective 4 March 2013. 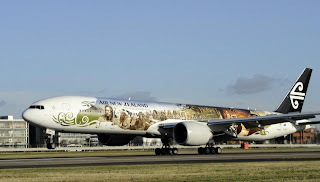 In a separate move which is part of Air New Zealand’s strategy to implement an alliance based network with a Pacific Rim focus, the airline has also formed a strategic agreement with Cathay Pacific on the Auckland – Hong Kong route. Air New Zealand have announced that passengers booked on the HKG-LHR-HKG portion of NZ35/38 after 4/3/13 will be rebooked onto Cathay Pacific services. Both Air New Zealand and Cathay Pacific will continue their current schedule on AKL-HKG-AKL services. Outgoing Air New Zealand CEO Rob Fyfe has mentioned that the freed capacity will be redeployed into already announced additional North American services. 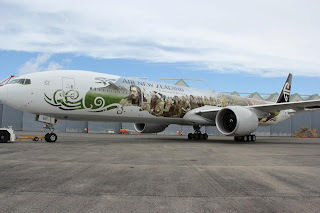 In preparation for the release of The Hobbit: An Unexpected Journey, & its world premier in Wellington, Air New Zealand the airline to middle earth, have released their next themed in flight safety video. 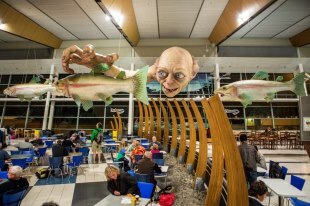 This one is obviously hobbit themed, and also features a cameo by Sir Peter Jackson. 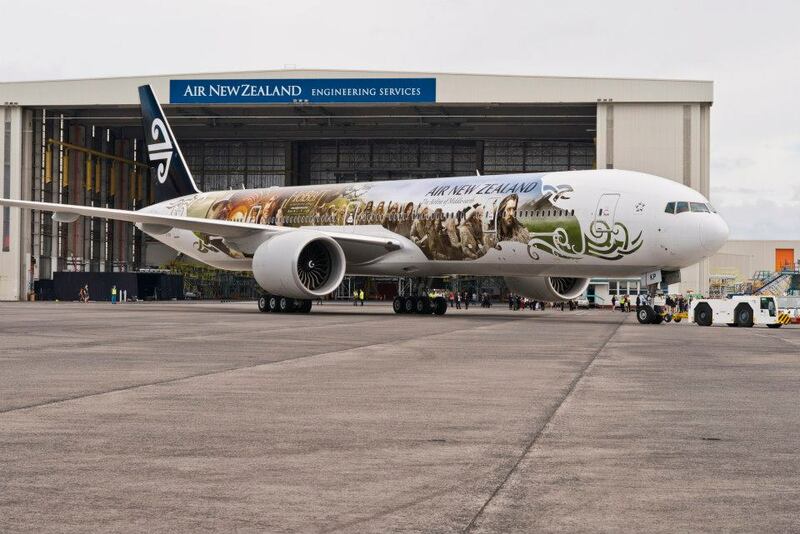 Look out for it from now on, on Air New Zealand flights, and hold on for the release of Boeing 777-319ER ZK-OKP in a special hobbit livery. Jetstar have announced a growth to their New Zealand based operations with the fleet based in NZ growing by one to 9 Airbus A320s. The addition of another aircraft to the base, will create 50 jobs for pilots, cabin crew and ground crew. The additional aircraft will give the airline the capacity to add 20 flights per week to the key Auckland-Wellington route, with AKL-Christchurch and WLG-CHC increasing by up to 7 flights per week. JQ will also add flights between Queenstown and Australia with MEL & SYD both getting 1 extra flight. Although this adds 36 additional flights it is not a gain of 36 flights to the schedule with decreases occurring with MEL-CHC and Gold Coast (OOL)-CHC losing 1 flight per week, while JQ is dropping its ZQN-CHC route with the loss of 5 flights per week. So the net increase in flights is 29/week. Virgin profit sees "game on"
Virgin Australia have announced a full year profit of $23M and according to our friends at ausbt.com.au have also announced its 'game on' in the next phase of the game change strategy that Virgin launched a year ago. The profit comes after $67.8M loss in the previous year, and could've been more had Virgin & Qantas not embarked on a war for business travelers in the second half of the year. While not elaborating on what the 'game on' call would entail, CEO John Borghetti did recap the airlines plan to order 23 Boeing 737 Max aircraft planned to enter service from 2019 as well as not ruling out either the Airbus A350 or the Boeing 787 from plans for the future of the international fleet. Qantas have sensationally cancelled their firm order for 35 Boeing 787-9s, in a bid to reign in costs as part of its fleet restructure. 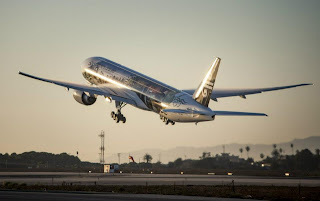 Fifty B787-9 options and purchase rights will be retained and brought forward by almost two years, available for delivery from 2016" the airline said in a statement. Jetstar will still receive their 15 Boeing 787-8s which will enable the return of the A330 fleet back to Qantas which will enable them to replace their aging domestic B767 fleet. Tiger are still struggling to turn a profit releasing a $21M AUD loss in the three months to June 30th. Tiger is still recovering from the CASA grounding last year, and are fighting competition on main routes from Qantas, Virgin Australia and Jetstar. ''We may see a delay in profitability, but our competitors are going to feel it as well,'' he said yesterday. AdvertisementBy October, Tiger plans to be operating the same number of flights - 64 sectors a day - it had before the air-safety regulator grounded it for six weeks last year. The airline is still waiting for the Civil Aviation Safety Authority to respond to its request to have all flight restrictions removed. Tiger's return to full service will add to the glut of flights in the domestic market. The routes to have the biggest increases in seat capacity include the country's busiest, between Sydney and Melbourne (up 18 per cent year on year), and Melbourne-Hobart (up 70 per cent). Its suffice to say if it wasn't for the deep pockets of Tiger's parent company, then this airline, like previous competitors, would not be able to survive on its own in the current economic conditions. I'm a few days behind the eight ball in posting this, but Air New Zealand have announced their new CEO to replace Rob Fyfe. Christopher Luxon who is currently head of International Airline will step up to the role, replacing Mr Fyfe in December after a 6 month transition. Incoming Air New Zealand chief executive Christopher Luxon says he is energised by the chance to do a job which holds a unique responsibility for the nation's economic, social and emotional wellbeing. Air New Zealand have released their latest inflight safety video, which is set to hit the skies in July. The animated video is "hosted" by Kiwi actress Melanie Lynsky (Rose in Two and a Half Men) and Ed O'Neil currently starring in Modern Family, but of Married with Children fame, the video also features versions of many famous people, both Kiwi and international. Reaction to the video on youtube has been mixed, with a lot of overseas viewers disliking it. What do you think? Just a day after Qantas announced their intention to close their Tullamarine engineering base with the loss of 422 jobs, CEO Alan Joyce has today announced the company will spilt into two divisions International and Domestic. Qantas International and Qantas Domestic will operate as two separate business each with their own Chief Executive and each reporting their financial results independently. Simon Hickey, the current Qantas frequent flyer chief executive, will head Qantas International. Lyell Strambi, currently Qantas' executive of operations, will be chief executive of Qantas Domestic. The division will bring a raft of changes to the airlines management structure including the departure of current Jetstar CEO Bruce Buchanan. Qantas have confirmed that it will close its engineering base at Tullamarine (MEL) with the loss of 422 jobs, while keeping its Avalon (AVV) and Brisbane (BNE) bases open. Brisbane looks set to take a win from this closure by picking up the maintenance of the Qantas Boeing 737 fleet, along with its current work on the Boeing 767 and Airbus A330 fleets, while Avalon will retain its work on the Boeing 747 fleet. Air New Zealand have announced plans to service their fourth destination in Queensland, Sunshine Coast (Maroochydoore), adding to Gold Coast (Coolangatta), Brisbane and Cairns. The flights which will begin seasonally will operate with A320 aircraft initially 2x weekly on Tuesdays and Sundays as NZ769/768. In the same week that Virgin Australia saw an impressive 118% interim profit increase, partner Air New Zealand has revealed its first half profit has dropped 61%. Air New Zealand is blaming its profit drop on the weakness in the global economy as well as the doubling of jet fuel prices over the past three years. This comes as the Kiwi flag carrier mulls over the options of raising its stake in the Australian operators as Virgin has flagged structural changes which will allow an increase in foreign ownership. Overnight Air Australia entered voluntary administration due to financial issues that prevented the airline from meeting its obligations. This has stranded 4000 passengers who had booked tickets as well as impacting the 300 staff. Passengers are stuck in Phuket and Honolulu and administrators have told them to find their own way home, and not to rely on the airlines for help. Jetstar and Qantas are looking at ways they can help stranded passengers, while the administrators have told passengers with advance bookings (including myself) to contact their banks to cancel their credit card payments, but customers who paid in cash look likely to lose their money. Qantas have today announced an 83% fall in half year profit to $42 million. As a result of the falling profit Qantas have overhauled their maintenance division which accounts for almost half of the 500 jobs being cut. They have also cut two routes and made aircraft changes on others. The two routes to be cut are the SIN-BOM 3x weekly tag and the daily AKL-LAX flight, these cuts come on top of the previously announced cuts to BKK/HKG-LHR. SYD-BKK, SYD-PER & MEL-PER will experience aircraft changes with SYD-BKK/PER losing their 744s to A330s with additional A330s on the MEL-PER route. A potential winner out of this is Air New Zealand who now have a monopoly on the AKL-LAX route and intend to increase their services from the current 12x weekly, although they have yet to announce the actual increase numbers. Qantas will also defer the delivery of some of its new Boeing 737-838s as well as bring forward the retirement of the bulk of its 747 fleet. In a not entirely surprising move Jetstar have announced the end to their CHC-BNE route after 7 years of operation. The route had already suffered cutbacks after the Christchurch earthquake and loads were too poor for the continued viability of the service. 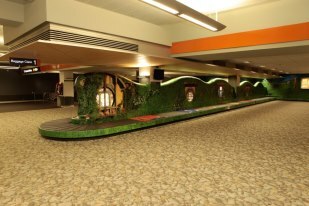 Air New Zealand have launched their first new international route in years with a seasonal Denpasar route. 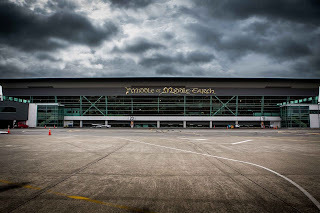 It is expected that these flights will operate under NZs Seats-to-Suit model, where passengers get to choose their own level of service by the price they pay, from seat only to works deluxe which includes all food, baggage and lounge access. Qantas have blamed fuel price increases and the European & Australian carbon taxes for rises in its surcharge of up to 24% on International and Domestic flights. The airline announced today that it will increase surcharges for one-way international flights by as much as $60. That means the total surcharge for a one-way flight to the US will be $310, while those to the UK and Germany will amount to $350. Qantas has also put on an extra charge of $20 for flights to Asia and Hawaii – taking the total surcharge to $165 – and $40 for flights to South America and South Africa (taking it to $240). Qantas subsidiaries Jetstar and QantasLink will also raise their fares to counter the carbon tax which is expected to cost the Qantas group as much as $110-115M in the 2012/13 financial year.